The team of Penny Harrison and Company is available to help you grow your retail gift or home decor shop in greater Pacific Northwest (Washington, Oregon, Idaho, Alaska, and Montana) on a daily basis. Additionally, we regularly participate in regional and national gift shows open exclusively to the industry. You can find us at the following shows – contact your rep today to make an appointment at the show! 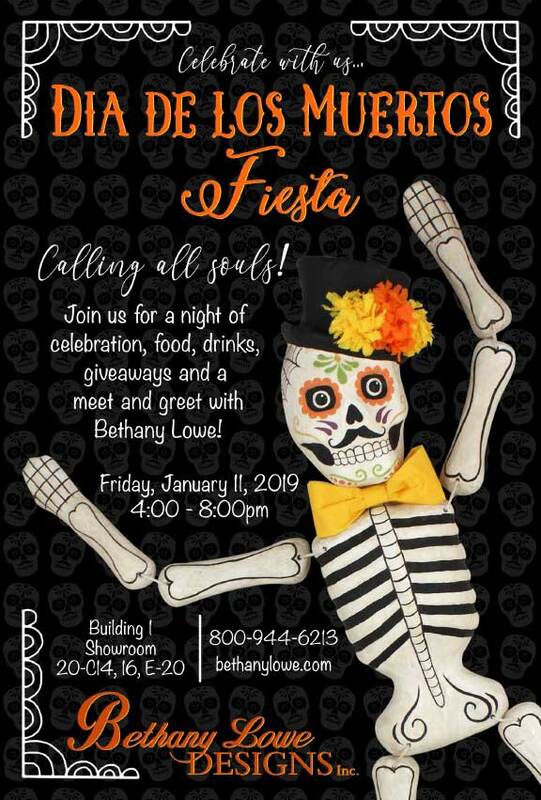 We’d love for you to join us at Bethany Lowes Dia De Los Muertas Fiesta! Contact us today to reserve your spot with us at the show!